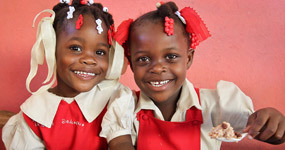 Children all across the globe are becoming Godley men and women; all thanks to you! Some children like Roma kids in Romania are strangers unto their own country. Old history and social ideas, even by experts say give up there is no hope to change a culture. 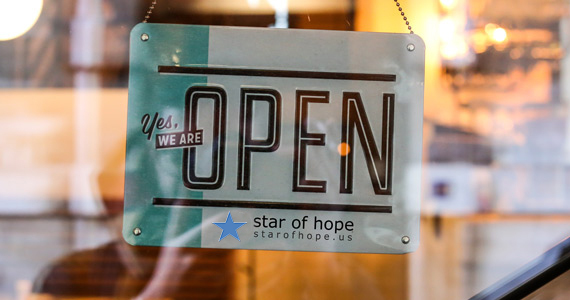 At Star of Hope, we believe differently, we believe the Gospel and love can change nations. Especially if you have people like Andrei on your team. Let me share a story from Romania. Maria a traveling social worker on duty for Star of Hope, Romania tells us about the changes in the children she has seen from the start until now. For example their hygiene, when it’s time to eat they hurry to wash up before lunch. They know they cannot eat until they wash their hands. In the beginning, this was something we had to work hard on. Since in many homes, there is no running water or electricity. We have seen a huge positive change in the children. They are also more courteous and show more warmth to each other. The change for good has gone so fast. Andrei Morisca is the youth leader. During his time at the University of Iasi, in Romania, he represented the city's college team in volleyball, but neither the sports career nor a regular office job attracted him. "I felt I wanted to do something to help others, and worked as a volunteer in other cities. I received an offer for a well-paid job in Belgium, a car and everything, but felt that it was not right for me. I want to stay in Romania ". 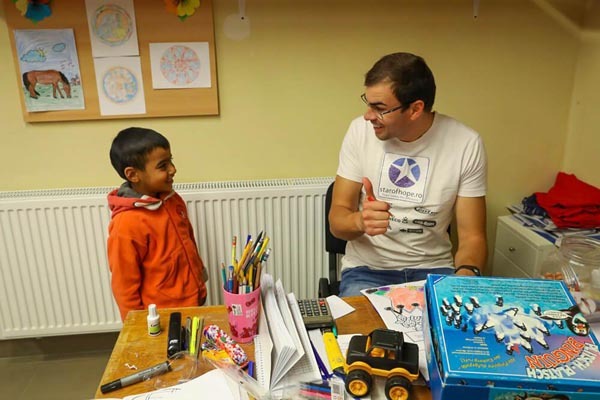 Two weeks after he said no thank you, to the big job, he had a new job offer - at a resource center for Romanian children in Murgeni. Andrei was talking to Aura Vatamaniuc, responsible for Star of Hope Romania, who convinced him with the words "you're exactly what we need". Soon it turned out to be true. 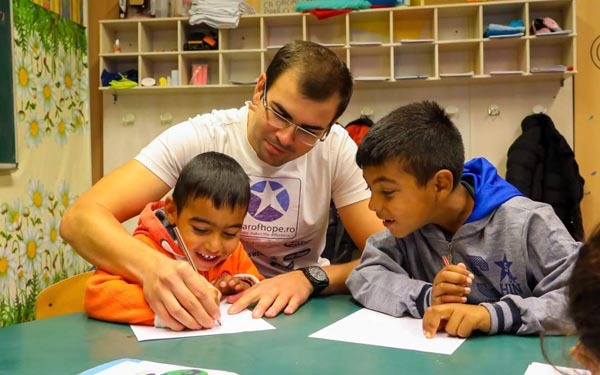 "There were those who warned me about working with the Romanian Roma people, but when I came here, I felt more and more how much I enjoyed working with these children. Children are of course not adults, so we must reach them at their level. We had problems with some who did not listen to us, but then my colleagues and I began to think about what we could do. We built a system of yellow and red ribbons, representing good and bad behavior, as the children had to put their ribbons so they showed, in their school books covers. The ribbons could be used to buy goodies in a small kiosk that we opened. Soon the children started competing with each other about who could get the most ribbons. Such creativity would be enough to make Andrei a favorite among the children, but he did not stop his "reaching out to the children" there. 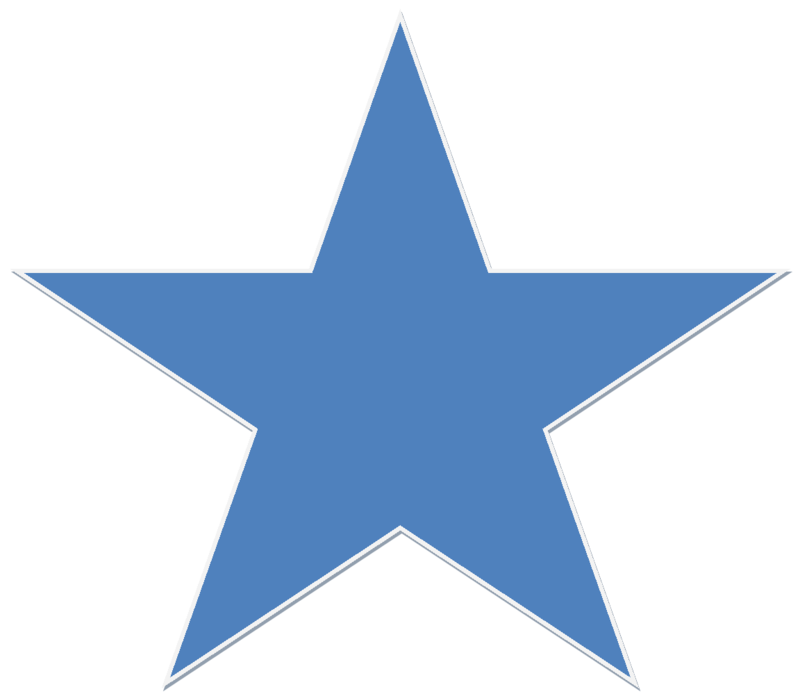 "I have a sports background, so I started playing soccer with them, and I saw that they really enjoyed getting to know someone who could play. 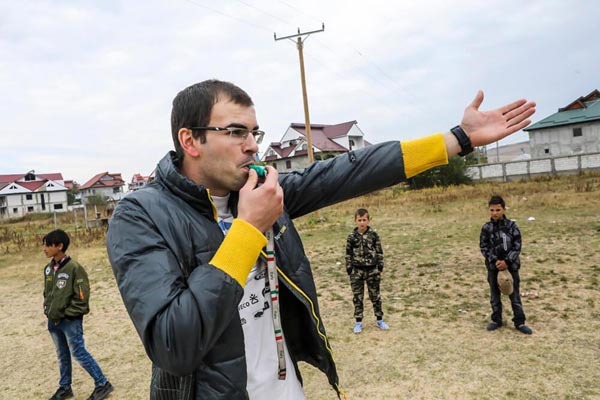 Andrei started two soccer teams, one for 7-13-year-olds and one for 14-16-year-olds. 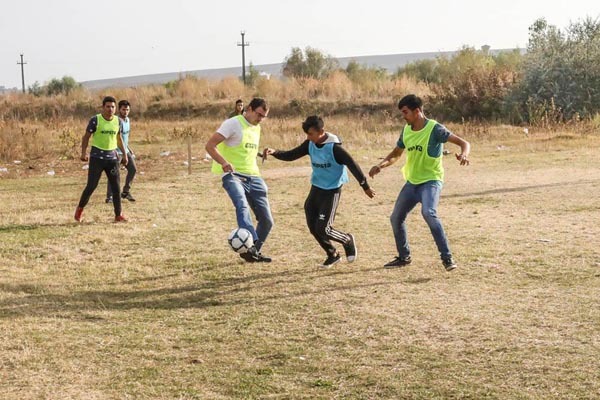 At first, they did not even have any soccer goals, but it did not prevent them from developing their skills and at a fast pace. "I'm trying to build a team for the future," says Andrei. These kids do not have the best conditions, but it is not important. What is important is that we have hands, we have feet, and we can succeed. That setting gave unimaginable successes from the start. In 2016, the first year the team existed, they managed to win the local district championship in competition with ten more routine teams. When the children returned to Murgeni, they were welcomed home as heroes. "I have a dream," says Andrei. I want these children to experience something more and feel they can handle more than they have previously believed. I look at the children that they want to develop. Everybody cannot handle it right now, but they ask questions and listen to advise. With Andrei in Murgeni, there is undeniably hope for this and the next generation of Roma in Romania.